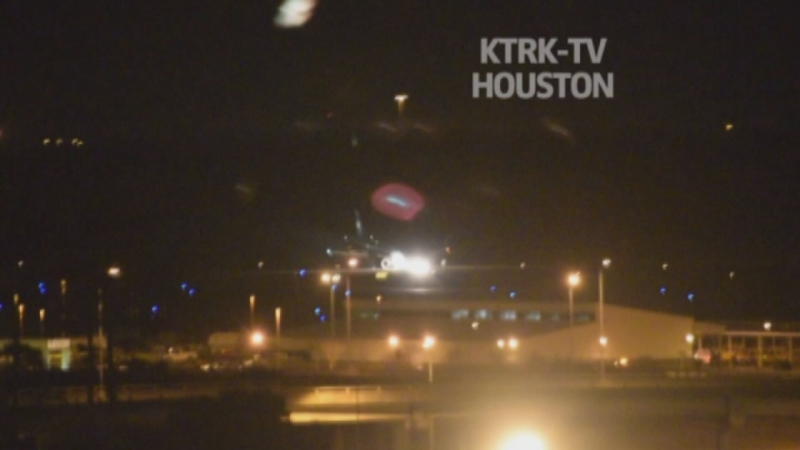 HOUSTON (KTRK) -- A U.S. Airways plane was forced to make an emergency landing without its nose gear at Bush Intercontinental Airport last night. "We were told to brace, brace, brace," said passenger Janice Mumma. It's a flight the passengers won't soon forget. The problem with the landing gear on U.S. Airways flight 1825 from Philadelphia to Houston started as a routine flight with more than 50 passengers and 4 crew members. "Then they said it looks like the landing gear's not out. We're going to have to have a crash landing," passenger Olin Johnson told us. "That's when it kind of got scary, because the pilot, you could hear it in his voice he was nervous." "They're telling you to put your head down," added passenger Dan Hanson. "But everything's telling you to keep your head up and look around. But then when we actually hit, it really wasn't that bad." Some people started getting nervous, while others were very quiet. "This pretty powerful smell of burning rubber filled up the plane so you knew it was a problem," said Johnson. Even with everything that happened, passengers are praising t he pilot. "I think he did great," said Mumma. "He was calm. The crew was calm. I think the crew did great. He landed it." "I'm sure it could have gotten a lot worse than it did," said Hanson. All passengers we talked to agree that it could have been a lot worse. 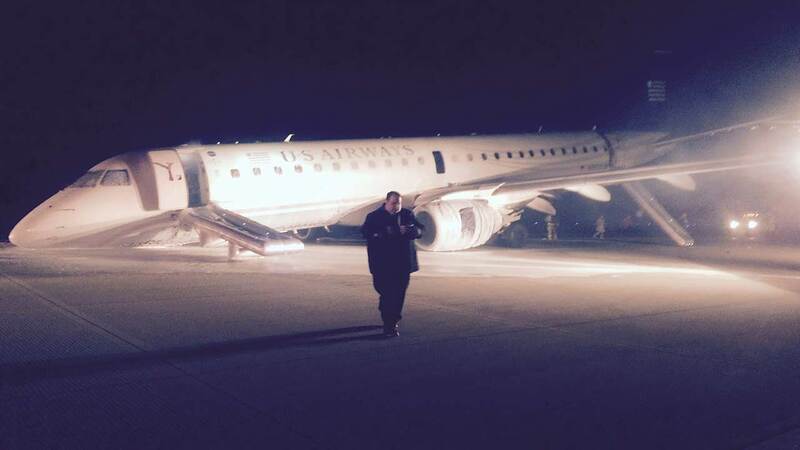 U.S. Airways is turning the investigation over to the FAA. As for the runway, it's back open.